Marilyn has been the Manager and Director of LIRC for 46 years and has a total of 40 years teaching experience. Marilyn has developed numerous state, sectional, and national ranked players and has been inducted into the Kentucky Tennis Hall of Fame. Chuck has 37 years of teaching experience. He was ranked among the top 5 juniors in Kentucky, played #1 for 4 years at Bellarmine University where he won the Ohio Valley Conference Singles and Doubles Championships for 4 years, and was elected into Bellarmine’s Hall of Fame. Steve was a highly ranked player in singles and doubles, and ranked in the top five in the South. He has won 5 Southern Championships. He played singles and doubles on the University of Louisville Men’s Tennis Team. He currently coaches many junior players with national and sectional rankings. He has been a USTA Sectional zonal coach, and USTA Sectional Referee for the past 16 years. He has 23 years teaching experience. Rob has taught for 34 years at LIRC He presently coaches many junior players with national and sectional ranking. He also coaches ladies’ and mens’ teams. In 2003 he was selected by the Southern Tennis Association to be a zonal coach for Team Southern and an Area Training Center coach. He has also received Pro of the Year Award. LIRC welcomes Carlos to our teaching staff. Carlos is a former assistant tennis pro on the European Tour, former captain of the Andorran Davis Cup Team, and the former coach of several top 50 ranked players. He served as Director of the Andorran Federation and, as a player, held the Andorran National Championships in all age groups. He was an All American player at his alma mater, Northeastern University. Ben is a former Georgetown College player from Chile who played #1 Singles and Doubles from 2009-2013. He was ranked as high as #29 singles and #22 Doubles in the NAIA in his college career. He developed the Georgetown summer camps and helped develop multiple juniors to Southern and National level. Joan has been a tennis instructor in this area for the past 36 years. 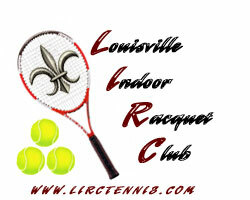 She was formally the head coach for the University of Louisville Women’s Tennis Team and has her M.A. Degree in Physical Education. Lenny has 45 years teaching experience. He specializes in junior player development and has coached both boys’ and girls’ high school and middle school teams. He directed the All R Stars Tennis Camp for 10 years. Nathan has over 15 years of coaching experience ranging from academies to resorts and high schools. He was a collegiate All-American and ranked #2 in Southern California Men’s Open doubles. He has taught at L.I.R.C. for 12 years. Meg is PTR certified in teaching Net Generation kids 11-17 and Wheelchair. She is a high school tennis coach for 7 years. She also compete in the Senior Olympics tennis twice. Ryan coaches in our 10 and under program. A graduate of St. Xavier High School. Ryan has attended the USTA 10 and under Tennis Workshop and the USTA Officialls class. Outstanding teaching assistants are Tommy Leist, Bryan Bellow, Adrian Bellow, Sam Rueff, Ethan Mills, and Gina Rueff.